Interested in a PhD fellowship in Amsterdam? The Institute for Logic, Language and Computation (ILLC) currently has a PhD fellowship available at the Faculty of Humanities starting on 1 September 2013. Applications are now invited from excellent candidates wishing to conduct research in an area in which either the Logic and Language group or the Language and Computation group at ILLC are active, such as the computational modeling of human information processing, especially natural language and music (LaCo) and/or foundational issues in mathematics and computer science (LoCo). For more information, see here. Deadline for applications is 14 January 2013. However, the demonstration below is almost too good to be true. Is the dog like Clever Hans, picking up unconscious cuing, or is he indeed listening and converting the sounding pitches to key presses? My prediction: the dog primarily watches the eyes and other body movements of the trainer, and does not really listen. A curtain between the owner and the dog would confirm this. Update Summer 2013: See below for a composition by Brechtje van Dijk broadcasted by Vrije Geluiden in May 2013, with the same two dogs. Look closely: they look carefully, but do they listen? * N.B. Relative pitch is far more special, see earlier blogs. Can rhesus monkeys detect the beat in music? Beat induction, the ability to pick up regularity – the beat – from a varying rhythm, is not an ability that rhesus monkeys possess. These are the findings of researchers from the National Autonomous University of Mexico (UNAM) and our group in Amsterdam, which are published today in PLOS ONE. It seems a trivial skill: children that clap along with a song, musicians that tap their foot to the music, or a stage full of line dancers that dance in synchrony. And in way, it is indeed trivial that most people can easily pick up a regular pulse from the music or judge whether the music speeds up or slows down. However, the realisation that perceiving this regularity in music allows us to dance and make music together makes it less trivial a phenomenon. 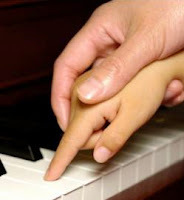 Previous research showed that not only adult humans, but also newborn babies can detect the beat in music. This proved that beat induction is congenital and can therefore not be learnt. In their experiments with rhesus monkeys, the researchers used the same stimuli and experimental paradigms from previous research conducted on humans and babies. They measured electrical brain signals using electrodes while the participants were listening. 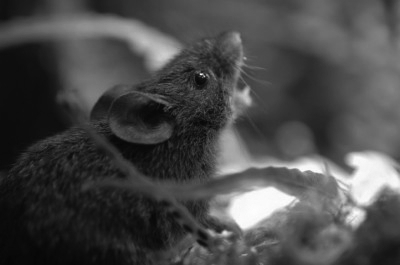 These research results are in line with the vocal learning hypothesis, which suggests that only species who can mimic sounds share the ability of beat induction. 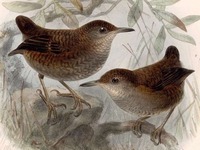 These species include several bird and mammal species, although the ability to mimic sounds is only weakly developed, or missing entirely, in nonhuman primates. In addition, the results support the dissociation hypothesis, which claims that there is a dissociation between rhythm perception and beat perception. This new research suggests that humans share rhythm perception (or duration-based timing) with other primates, while beat induction (or beat-based timing) is only present in specific species (including humans and a selected group of bird species), arguably as a result of convergent evolution. "Leipzig, 15 juli 2011. Op het Max Planck Instituut in Leipzig woon ik de internationale Ritme, Perceptie en Productie Workshop (RPPW) bij. Het is een relatief kleine, tweejaarlijkse bijeenkomst waar zo’n dertig onderzoekers uit verschillende disciplines bij elkaar komen om het over ritme en verschillende ritmische activiteiten te hebben, zoals roeien, golfen, lopen, spreken en muziek maken. Het is voor mij een bijzondere workshop. Ik bezocht hem als student voor het eerst in 1988, en de onderzoekers die ik daar ontmoette (o.a. 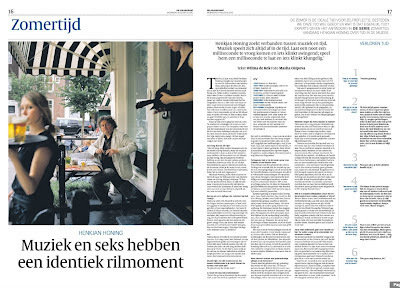 Christopher Longuet-Higgins en Eric Clarke) maakten destijds een onuitwisbare indruk op me. Door hun passie en fascinerende onderzoek wist ik dat ik ook de wetenschap in wilde. Sindsdien heb ik nagenoeg alle RPPW bijeenkomsten bijgewoond. Aan het conferentiediner zit ik naast Hugo Merchant, een energieke Mexicaan die de dag ervoor een lezing gaf over zijn recente onderzoek naar de representatie van tijd en ritme in de hersenen. Een geavanceerd verhaal met verrassende uitkomsten: in de hersenen blijken verschillende soorten timers traceerbaar te zijn. De hersenen van resusaapjes wel te verstaan, die in dit onderzoek als model dienen voor de hersenen van mensen. Hugo liet zien dat bij resusaapjes specifieke hersencellen actief zijn bij het aftellen totdat er iets moet gebeuren en bij cellen die de verstreken tijd meten nadat er iets is gebeurd. Gedurende de avond praten we uitgebreid over de interpretatie en allerhande consequenties van de resultaten, zoals het schatten van tijd, het idee van een mentale klok (centraal dan wel gedistribueerd over de hersenen) en het mogelijke verschil tussen interval-gebaseerde timing (het herkennen van ritmes) en beat-gebaseerde timing (het herkennen van regelmaat). Op een gegeven moment vraag ik Hugo op de man af: denk je dat het mogelijk is om bij resusaapjes een EEG te meten? That’s an empirical question, antwoordt hij uitdagend. En nadat we er nog wat langer over hebben gepraat, zegt hij: Let’s do it!" A.s. zondag, in de uitzending van Vpro's Vrije Geluiden, meer over het onderzoek naar maatgevoel bij resusaapjes. Do music and language share the same resources? The interest in the relationship between music and language is a long-standing one. While Lerdahl & Jackendoff in their seminal book on the generative theory of tonal music built mostly on insights of metrical phonology of the time, more recent studies draw attention to the parallels with current minimalist syntactic theory rather than phonology. However, there are compelling reasons to consider music and language as two distinct cognitive systems. Recent findings in the neuroscience of music suggest that music is likely a cognitively unique and evolutionary distinct faculty (e.g., Peretz & Colheart 2003). This is referred to as the modularity-hypothesis. This position can be contrasted with the resource-sharing hypothesis that suggests music and language share processing mechanisms, especially those of a syntactic nature, and that they are just distinct in terms of the lexicon used (Patel 2003). For this hypothesis there is now quite some evidence (see, e.g., Slevc et al., 2009). That study showed enhanced syntactic garden path effects when the sentences were paired with syntactically unexpected chords, whereas the musical manipulation had no reliable effect on the processing of semantic violations. However, last week a new study was published in Psychonomic Bulletin & Review (Perruchet & Poulin-Charronnat, 2012) that not only replicated the results of the former study, but also tested semantic garden paths, with – surprisingly – similar effects. The researchers suggest that the mechanism that might in fact underpin these interactions is the ‘garden path configuration’, rather than the implication of an alleged syntactic module (as is suggested by the resource-sharing hypothesis). It might well be that a different amount of attentional resources is recruited to process the linguistic manipulations and as such modulating the resources left available for the processing of music. Can the domains of Music Cognition and Music Information Retrieval inform each other? In about a weeks time the 13th ISMIR (International Society for Music Information Retrieval) conference will be held. This is a conference on the processing, searching, organizing and accessing music-related data. It attracts a research community that is intrigued by the revolution in music distribution and storage brought about by digital technology which generated quite some research activity and interest in academia as well as in industry. 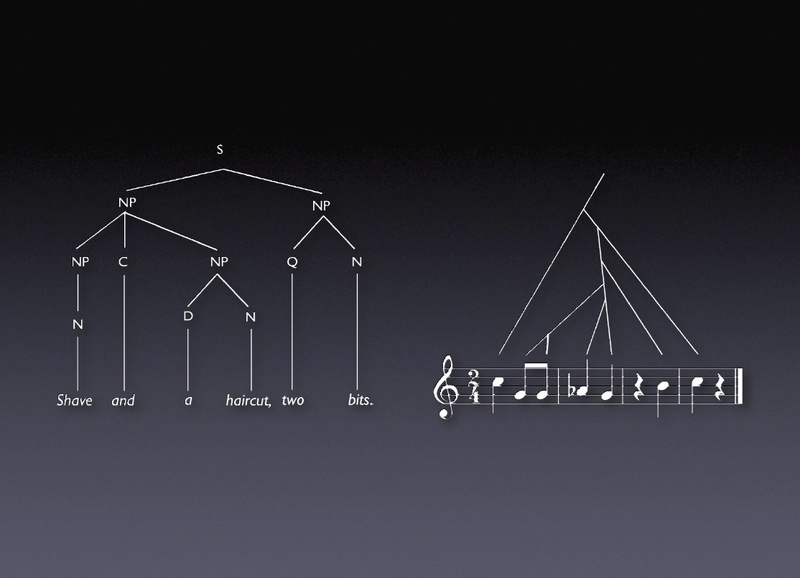 In this discipline, referred to as Music Information Retrieval (or MIR for short), the topic is not so much to understand and model music (like in the field of music cognition), but to design robust and effective methods to locate and retrieve musical information, including tasks like query-by-humming, music recommendation, music recognition, and genre classification. A common approach in MIR research is to use information-theoretic models to extract information from the musical data, be it the audio recording itself or all kinds of meta-data, such as artist or genre classification. With advanced machine learning techniques, and the availability of so-called ‘ground truth’ data (i.e., annotations made by experts that the algorithm uses to decide on the relevance of the results for a certain query), a model of retrieving relevant musical information is constructed. Overall, this approach is based on the assumption that all relevant information is present in the data and that it can, in principle, be extracted from that data (data-oriented approach). Several alternatives have been proposed, such as models based on perception-based signal processing or mimetic and gesture-based queries. However, with regard to the cognitive aspects of MIR (the perspective of the listener), some information might be implicit or not present at all in the data. Especially in the design of similarity measures (e.g., ‘search for songs that sound like X’) it becomes clear quite quickly that not all required information is present in the data. Elaborating state-of-the-art MIR techniques with recent findings from music cognition seems therefore a natural next step in improving (exploratory) search engines for music and audio (cognition-based approach) (cf. Honing, 2010). Aucouturier, J., & Bigand, E. (2012). Mel Cepstrum & Ann Ova: The Difficult Dialog Between MIR and Music Cognition. Proceedings of the 13th International Society for Music Information Retrieval Conference, 397-402. Mathieu, apparently lacking a sense of beat. The questions posted in a blog entry just after the publication of that study resulted in a collaboration in which, next to behavioral, also direct electrophysiological methods were used. Pascale Lidji (also associated with BRAMS) initiated an EEG/ERP experiment, modeled after our earlier Amsterdam experiments, to directly probe Mathieu’s apparent beat-deafness. Last winter, just a few weeks after the experiments, we had a teleconference discussing the first experimental results (filmed by a Dutch TV crew following our work). The first results suggested that Mathieu’s brain did pick-up the beat, but his conscious perception did not, as several behavioral experiments confirmed. Intriguing, to say the least. And the results will hopefully be published later this year. For more the documentary De man zonder ritme, see the website of NPO3. 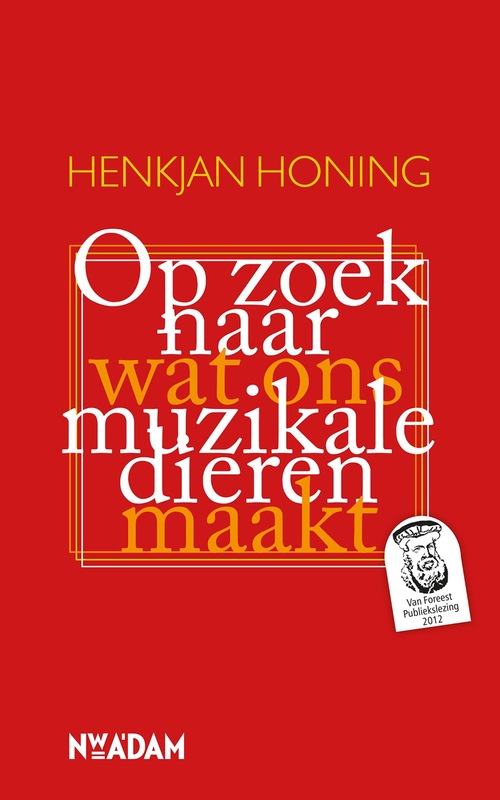 "Henkjan Honing heeft een missie: ‘Ik ga u ervan overtuigen dat u muzikaler bent dan u zelf denkt.’ Het Glazen huis der Wetenschap zit bomvol en ook buiten staan de toeschouwers rijendik opgesteld. Bij aanvang van het college vraagt Honing, hoogleraar cognitieve en computationele muziekwetenschap, wie zichzelf amuzikaal vindt. Ongeveer de helft van de aanwezigen steekt zijn hand op. Maar Honing vertelt dat slechts vier procent van de mensen daadwerkelijk geen gevoel voor muziek heeft. Aan de hand van een aantal geluidsfragmenten toont Honing de aanwezigen dat ze wel degelijk muzikaal zijn en beschikken over een relatief gehoor en gevoel voor ritme [..]." Een videoverslag van het minicollege is hier te vinden.